Wi-Fi Network is actually a helpful tool for wireless connection to the internet with the use of radiowave of 2.4Ghz and 5GHz SHF. Wi-Fi, is also known as WLAN (wireless local area network). With the help of Wi-Fi, many devices can be connected to internet. It is a less secure connection than wired because it does not required physical connection. As a result of that, there may be people walking around your home/office to hack your Wi-Fi network and use it for free. If you have a Wi-Fi Network and you are worried about it privacy then in this article I will be sharing some methods to hack Wi-Fi using Android smartphone, so that you can check the security of your own network. Hacking Routers without permission is illegal. These steps are provided to test the security of your own network as said earlier. Shelaf won't be held responsible for any illegal activity this tips is used for, it's just for knowledge sake. 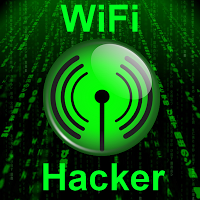 Following are two different methods to hack Wi-Fi, using Android Devices. 2. Then download and install bcmon, it's essential because it helps monitor mode on your broadcom chipest that helps in the PIN Cracking. 3. After installation, run the app and tap "monitor mode" option. 4. Download and Install Reaver app which helps to crack the WPS Pin to retrieve the WPA2 passphrase. 5. After installation of Reaver app, launch it and do an on-screen comfirmation, which is, comfirmint that you're not using it for illegal purpose, then tap the APN or access poin you'd wish to crack and continue. Most times, you might need to verify monitor mode to proceed, and this would cause the bcmon to open again. 6. Verify your settings and also make sure that you've checked the "Automatic Advanced settings"box. 7. Finally, start cracking process by tapping start attack, at this final stage, it can take 2-10hrs for the cracking of WPS to complete, and it is not always successful. 4. Then tap the "Run bcmon terminal" option and type "airodump-ng" and Enter. Once the airodump loads finish, you would be directed to the prompt command in which you're to type "airodump-ng wlan0" then tap the Enter button. 5. In this stage, a Mac address would appear, in which you're to jot down. 6. Start scanning the channel by collecting information from the access point before attempting to crack the password, then type,"airodump-ng -cchannel#--bssidMAC address-w output ath0" and tap enter, then it would start scanning, try scanning till it reaches 20,000 - 30,000 packets. 7. To finally crack the password, return to the terminal, but make sure you've reached the suitable number of packets, then type "aircrack-ng output*.cap" and tap enter at the terminal. 8. Once the password is cracked successfully, you would receive a message alerting, 'Key Found' and would display the key in hexidecimal form. So when entering the key, make sure you eliminate the dots '. 'or double dots ':', i.e if it displays 12:34:56:78:90, then enter 1234567890 as the code.